The legendary troubadour of Brazil, Chico Buarque de Hollanda appears to have been somewhat of a polarizing figure, even in the Musica Popular Brasileira movement (MPB), whose ramparts he bestrode like the proverbial Colossus. This in terms of sheer output as well as in the exquisite quality of his repertoire—especially in the poignant protestations of fallen heroes, the foibles of the acute angles of love and the lyricism of fragrant bouquets in his elegant music. For Mr. Buarque was and is and will always be first and foremost a poet with an ability to grasp the epic and nuanced notions of human behaviour through the depth of emotion and the height of intellect. Some critics are sometimes dismayed by the fact that he seemed soft on the establishment during the height of MPB and its historic protest against the military dictatorship in Brazil, but then Mr. Buarque served up that classic song of blood and protest, “Cálice” a song full of existential angst and whose lyrics were replete with clever double-entendres. For Chico Buarque was and is the sublime master of the glancing blows of protest—and in that he resembles most the Geoffrey Chaucer, that great bard of medieval England and even the great Odysseus. Consider how Mr. Buarque couched the imagism and metaphor of his lyrical poetry in the raw and soulful depictions of joy and sorrow and the ultimate triumph of human endeavour: all of which flavours the poetics of his music throughout its history. 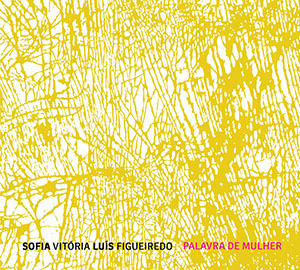 To recall the deep song and duende of one of the most remarkable Brazilian artists alive the exquisitely talented vocalist Sofia Vitória and her pianist and arranger partner, Luís Figueiredo have created a remarkable homage, Palavra de Mulher. Ms. Vitória seems eminently qualified to sing the praises of Chico Buarque’s music. Of the many musicians and vocalists who have sung Mr. Buarque’s repertoire, few vocalists have possessed the magical sounds of a soprano capable of turning Mr. Buarque’s lyricism into veritable arias that the troubadour must surely have imagined they sung if at all by a woman. This too is also something unique about the music of Mr. Buarque (and to a certain extent Caetano Veloso’s): that the sexuality of its characters is as delicate as to almost be androgynous. (Picture Ney Matogrosso also singing Mr. Buarque’s repertoire!). But the spotlight here is on Ms. Vitória and so the focus must remain hers for now. The remarkable poignancy with which Ms. Vitória has inhabited the feminine characters—in all their fey androgyny–is one of the main reasons for the success of this album. In phrase after phrase and line after line Ms. Vitória caresses the lyrics as if they were alive. The taut expressiveness of her voice hugs their curves as the instrumentalists celebrate this union of voice and human body, singularly beautiful on “O que será (à flor da pele)” and on Mr. Buarque’s classic “Joana Francesa”—especially in the three-way counterpoint between voice, piano con arco bass played by Mário Franco evolves and is magically brought to fruition in the spectacular harmonics of voice and instrumentation. Here the masterful arrangements of Luís Figueiredo deserve especial mention for the pianist has also come to a full understanding of the dynamic tension in the music of Chico Buarque. In fact there are times when the manner in which the music unfolds and tumbles down—dictated by the dramatically slow pace of the melody and the uncoiling of Ms. Vitória’s voice (as on “Palavra de Mulher”) is almost too painful to bear and like darts piercing the heart of the listener. Similarly the majestic soaring, as if in a mental echo-chamber, of the lyric of “Morena dos olhos d’água” becomes a celestial hymn by the time Ms. Vitória’s voice emerges from out of the smoky lines of the flugelhorn and the incessantly sensual vamp of the Fender Rhodes… this is sheer ingenuity on the part of Luís Figueiredo; that the arrangement should function as a song that enacts a dancing dramaturgy like that of a swaggering double-helix, especially in the contrapuntal relationship of Rhodes and voice, separated only by a whispering echo. This mystical magic of phrasing and enunciation on the part of Sofia Vitória’s vocalastics and Luís Figueiredo’s pianism continues through the staggering beauty of “Trocando em miúdos” as well as on “Olhos nos olhos”. Palavra de Mulher is not only a magnificent debut for Sofia Vitória, but is certainly also one of the finest homages to one of the most celebrated bards of Brazil as well as the whole Portuguese-speaking world. Its arrival signals that a star is born in Sofia Vitória and her celestial travels are going to mark the career of one of the most ingenious vocalists in time to come. Track List: Cotidiano; Renata Maria; A Bela e a Fera; Atrás da Porta; O que será (à flor da pele); Joana Francesa; Palavra de Mulher; Morena dos olhos d’água; Trocando em miúdos; Olhos nos olhos. Personnel: Sofia Vitória: voice; Luís Figueiredo: piano, Fender Rhodes, arrangements: João Moreira: trumpet & flugelhorn; Guto Lucena: bass clarinet; Mário Franco: contrabass; Joel Silva: drums; Ricardo Toscano: alto saxophone; César Cardoso: tenor saxophone; Luís Cunha: trombone. Sofia Vitória was born in Setúbal (Portugal). Prior to recording her debut album “Palavra de Mulher”, she performed in Portugal’s main concert halls, as well as in Brazil, Spain, the Netherlands, Italy, Macao, Wales and Turkey. She represented Portugal in Eurovision 2004 with the song foi magia and came 15th with 38 points thus failing to reach the final. Sofia is strongly influenced not only by Jazz but also by World Music. 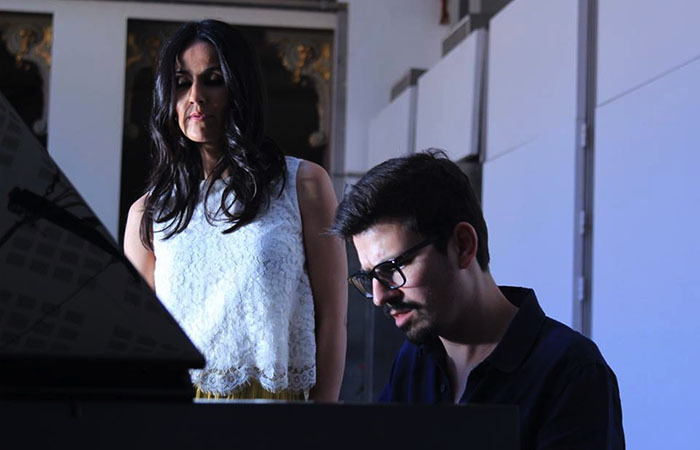 She released her first record in partnership with pianist Luís Figueiredo. All the songs included in the album “Palavra de Mulher” tell the story of feminine characters who inhabit Chico Buarque’s musical world.